Don’t prescribe any medication to patients over the age of 65 without conducting a thorough medication review. Patients over the age of 65 have an increased risk of drug interactions, adverse drug reactions and falls. Although it can sometimes be appropriate to prescribe new medications, a thorough medication review should be done concurrently. The review should ensure that the medications are having the desired effect, that the lowest effective doses are being used, that the patient has been involved in the decision to use them and that they align with the patient’s goals of care. There is a paucity of research on clinical outcomes associated with medication review tools however, the STOPP/START, Beers criteria and the McLeod criteria have been reviewed in a Cochrane analysis. Another useful resource is www.Medstopper.com. Bourgeois FT, et al. Adverse drug events in the outpatient setting: an 11-year national analysis. Pharmacoepidemiol Drug Saf. 2010 Sep;19(9):901-10. PMID: 20623513.
Cooper JA, et al. Interventions to improve the appropriate use of polypharmacy in older people: a Cochrane systematic review. BMJ Open. 2015 Dec 9;5(12):e009235. PMID: 26656020. Fried TR, et al. Health outcomes associated with polypharmacy in community-dwelling older adults: a systematic review. J Am Geriatr Soc. 2014 Dec;62(12):2261-72. PMID: 25516023. Fulton MM, et al. Polypharmacy in the elderly: a literature review. J Am Acad Nurse Pract. 2005 Apr;17(4):123-32. Review. PMID: 15819637. Mallet L, et al. The challenge of managing drug interactions in elderly people. Lancet. 2007 Jul 14;370(9582):185-91. PMID: 17630042. Marcum ZA, et al. Prevalence of potentially preventable unplanned hospitalizations caused by therapeutic failures and adverse drug withdrawal events among older veterans. J Gerontol A Biol Sci Med Sci. 2012 Aug;67(8):867-74. PMID: 22389461. Payne RA, et al. Is polypharmacy always hazardous? A retrospective cohort analysis using linked electronic health records from primary and secondary care. Br J Clin Pharmacol. 2014 Jun;77(6):1073-82. PMID: 24428591. Weng MC, et al. The impact of number of drugs prescribed on the risk of potentially inappropriate medication among outpatient older adults with chronic diseases. QJM. 2013 Nov;106(11):1009-15. PMID: 23836694. Don’t prescribe vitamin B12 injections to clients with low vitamin B12 levels as first line therapy. Vitamin B12 deficiency affects approximately 5% of Canadian adults. Deficiencies are primarily the result of a lack of intrinsic factor (pernicious anemia). Vitamin B12 absorption can also be affected by the regular use of proton pump inhibitors. There is a large body of evidence supporting the efficacy of oral B12 administration in most cases related to pernicious anemia, malabsorption or malnutrition. The use of oral vitamin B12 is cost effective. Furthermore, using the oral formulation will decrease the need for unnecessary clinic visits for vitamin B12 injection, improve efficiency and decrease costs without compromising patient care. After the initiation of therapy, serum vitamin B12 concentrations should be monitored to assess for efficacy. Given the lack of conclusive evidence, vitamin B12 injections should still be considered for patients with severe neurological involvement, ileectomy and significant malabsorption syndromes. Kolber MR, et al. Oral vitamin B12: a cost-effective alternative. Can Fam Physician. 2014 Feb;60(2):111-2. PMID: 24522672. Kuzminski AM, et al. Effective treatment of cobalamin deficiency with oral cobalamin. Blood. 1998 Aug 15;92(4):1191-8. PMID: 9694707. Lane LA, et al. Treatment of vitamin b(12)-deficiency anemia: oral versus parenteral therapy. Ann Pharmacother. 2002 Jul-Aug;36(7-8):1268-72. PMID: 12086562. Lin J, et al. Clinical inquiry: Is high-dose oral B12 a safe and effective alternative to a B12 injection? J Fam Pract. 2012 Mar;61(3):162-3. PMID: 22393558. MacFarlane AJ, et al. Vitamin B-12 and homocysteine status in a folate-replete population: results from the Canadian Health Measures Survey. Am J Clin Nutr. 2011 Oct;94(4):1079-87. PMID: 21900461. Nyholm E, et al. Oral vitamin B12 can change our practice. Postgrad Med J. 2003 Apr;79(930):218-20. PMID: 12743340. Sharabi A, et al. Replacement therapy for vitamin B12 deficiency: comparison between the sublingual and oral route. Br J Clin Pharmacol. 2003 Dec;56(6):635-8. PMID: 14616423. Don’t routinely measure Vitamin D levels in low risk adults. Clinical evidence shows that screening for vitamin D deficiency in healthy individuals is generally not necessary. Vitamin D deficiency is common in many populations, particularly in patients at higher latitudes, during winter months and in those with limited sun exposure. Therefore, Canadians have inadequate exposure to sunlight, which puts them at risk for vitamin D deficiency. Over the counter vitamin D supplements and increased summer sun exposure are sufficient interventions for most otherwise healthy patients. Laboratory testing is appropriate in higher risk patients when results will be used to institute more aggressive therapy (e.g., osteoporosis, chronic kidney disease, malabsorption, some infections, obese individuals). Hanley DA, et al. Vitamin D in adult health and disease: a review and guideline statement from Osteoporosis Canada. CMAJ. 2010 Sep 7;182(12):E610-8. PMID: 20624868. Ontario Association of Medical Laboratories. Guideline for the Appropriate Ordering of Serum Tests for 25-hydroxy Vitamin D and 1,25-dihydroxy Vitamin D (CLP026) [Internet]. 2010 Jun [cited 2017 Aug 9]. Souberbielle JC, et al. When should we measure vitamin D concentration in clinical practice? Scand J Clin Lab Invest Suppl. 2012;243:129-35. PMID: 22536774. Toward Optimized Practice. Guideline for Vitamin D Testing and Supplementation in Adults [Internet]. 2012 Oct [cited 2017 Aug 8]. Don’t do annual complete physical examinations on asymptomatic adults with no significant risk factors. Instead, nurse practitioners should counsel their well, asymptomatic patients regarding the importance of screening and focused health assessments performed according to their risk factors. These visits may include specific physical examination maneuvers and screening tests that should occur at intervals informed by the available evidence such as the Canadian Task Force on Preventive Health Care and provincial cancer care organizations. Following evidence based recommendations, including relevant physical examination and screening test guidelines (pap smears, colorectal cancer screening, etc.) has been shown to be effective at helping nurse practitioners and their patients to find disease before symptoms arise. Boulware LE, et al. Systematic review: the value of the periodic health evaluation. Ann Intern Med. 2007 Feb 20;146(4):289-300. PMID: 17310053. Krogsbøll LT, et al. General health checks in adults for reducing morbidity and mortality from disease: Cochrane systematic review and meta-analysis. BMJ. 2012 Nov 20;345:e7191. PMID: 23169868. Si S, et al. Effectiveness of general practice-based health checks: a systematic review and meta-analysis. Br J Gen Pract. 2014 Jan;64(618):e47-53. PMID: 24567582. The Guide to Clinical Preventive Services 2012. Recommendations of the U.S. Preventive Services Task Force. Rockville (MD): Agency for Healthcare Research and Quality (US); 2012 Oct. Report No. : 12-05154. PMID: 23285491. The periodic health examination. Canadian Task Force on the Periodic Health Examination. Can Med Assoc J. 1979 Nov 3;121(9):1193-254. PMID: 115569. Thivierge C, et al. L’évaluation médicale périodique [Internet]. 2013 May [cited 2017 Aug 8]. Don’t order screening chest X-rays in asymptomatic patients. This includes periodic health exams, pre-employment health assessments, tuberculosis screening, preoperative and pre-admission screening and cancer screening. There is little evidence to indicate that patient outcomes are improved with screening in these populations. Furthermore, exposure to unnecessary radiation may exceed any potential benefits. Chest X-rays on asymptomatic patients may also result in false positive reporting, which may cause undue stress. The decision to order a chest X-ray should be considered on careful evaluation of any patient presentation indicative of respiratory disease or illness. Canadian Association of Radiologists. 2012 CAR diagnostic imaging referral guidelines. Section E: Cardiovascular [Internet]. 2012 [cited 2017 Aug 8]. Canadian Association of Radiologists. Medical imaging primer with a focus on X-ray usage and safety [Internet]. 2013 [cited 2017 Aug 8]. Tigges S, et al. Routine chest radiography in a primary care setting. Radiology. 2004 Nov;233(2):575-8. PMID: 15516621. Don’t order chest X-rays in patients with acute upper respiratory tract infections. There is no evidence that a chest X-ray improves patient outcomes or decreases recovery time for those with upper respiratory infections. Chest X-rays should be reserved for those patients with clinical suspicion of pneumonia, acute upper airway infection with comorbid conditions and those with symptoms persisting beyond three weeks. Pneumonia presents with at least two of: fever, rigors, new cough with or without sputum production or chronic cough with change in colour of sputum, pleuritic chest pain, shortness of breath and localized crackles. Nurse practitioners should be mindful of the risks associated with cumulative radiation exposure such as that from chest X-rays. Alberta Medical Association. Towards Optimized Practice: The diagnosis and management of community acquired pneumonia: Adult [Internet]. 2008 [cited 2017 Aug 11]. Canadian Association of Radiologists. Referral Guidelines: Section F Thoracic [Internet]. 2012 [cited 2017 Aug 11]. Cao AM, et al. Chest radiographs for acute lower respiratory tract infections. Cochrane Database Syst Rev. 2013 Dec 26;(12):CD009119. PMID: 24369343. Don’t order thyroid function tests as screening for asymptomatic, low risk patients. The primary rationale for screening asymptomatic patients is that the resulting treatment leads to improved health outcomes when compared with patients who are not screened. There is insufficient evidence available indicating that screening for thyroid diseases will have these results. Government of Canada. Screening for thyroid disorders and thyroid cancer in asymptomatic adults in The Canadian guide to clinical preventive health care [Internet]. 1994 [cited 2017 Aug 11]. Management of thyroid dysfunction in adults [Internet]. BPJ. 2010;33 [cited 2017 Aug 11]. Surks MI, et al. Subclinical thyroid disease: scientific review and guidelines for diagnosis and management. JAMA. 2004 Jan 14;291(2):228-38. PMID: 14722150. U.S. Preventive Services Task Force. Screening for thyroid disease: recommendation statement. Ann Intern Med. 2004 Jan 20;140(2):125-7. PMID: 14734336. Don’t prescribe prophylactic antibiotics to prevent travellers’ diarrhea. Travellers’ diarrhea is the most predictable travel related illness affecting up to 70% of travellers to developing countries. The vast majority of cases clear on their own in a few days without treatment. Antibiotic prophylaxis for travellers’ diarrhea is not recommended as these treatments disrupt the normal gut flora and allow resistant bacteria such as extended-spectrum beta lactamase (ESBL) producing bacterial to flourish. Those taking antibiotics are more likely to become colonized with ESBL producing bacteria. These individuals can shed the bacteria upon return home for several months and close contacts and family members may become colonized with the organism. As a safer alterative, travellers should consider prophylaxis with bismuth salicylate given the good evidence for its use. Clinicians may consider prescribing a three-day supply of antibiotics to carry with patients with clear instructions to only take them for severe diarrhea, given the benefit of reduced symptom duration. Centers for Disease Control and Prevention. Clinical Update: Multidrug Resistant Travelers’ Diarrhea: Counseling Travelers on Responsible Treatment [Internet]. 2015 Apr 21 [cited 2017 Aug 11]. Davey PG, et al. Appropriate vs. inappropriate antimicrobial therapy. Clin Microbiol Infect. 2008 Apr;14 Suppl 3:15-21. PMID: 18318875. Government of Canada. Statement on Travellers’ Diarrhea [Internet]. 2015 May 1 [cited 2017 Aug 11]. Government of Canada. Travellers’ diarrhea [Internet]. 2016 Apr 27 [cited 2017 Aug 11]. Kantele A, et al. Antimicrobials increase travelers’ risk of colonization by extended-spectrum betalactamase-producing Enterobacteriaceae. Clin Infect Dis. 2015 Mar 15;60(6):837-46. PMID: 25613287. Walkty A, et al. Extended-Spectrum Beta-Lactamase Producing Escherichia coli: Increasing Incidence of a Resistant Pathogen [Internet]. 2016 Mar [cited 2017 Aug 11]. World Health Organization. Antimicrobial resistance: global report on surveillance 2014 [Internet]. 2014 Apr [cited 2017 Aug 11]. Don’t screen women with Pap smears if under 21 years of age or over 69 years of age. Screening pap tests should not be done on asymptomatic patients outside of screening intervals and age groups specified in relevant provincial and national guidelines. Cervical cancer is very rare in women younger than 21 years of age even if they are sexually active. Abnormal cells in young women usually go back to normal with no treatment. Cervical cancer is very rare in women over 65 years of age who have had normal pap smears at regular recommended screening intervals. Screening pap smears done outside of recommended populations could result in false positive findings and lead to unnecessary follow up and treatment. This could result in stress for the patient and expose them to the risks associated with additional investigations and treatments. Monitor for cervical screening guideline changes based on the most up to date evidence. Canadian Task Force on Preventive Health Care, et al. Recommendations on screening for cervical cancer. CMAJ. 2013 Jan 8;185(1):35-45. PMID: 23297138. Cancer Care Ontario. Information for Healthcare Providers on the Ontario Cervical Screening Program (OCSP) [Internet]. 2012 May [cited 2017 Aug 11]. Cancer Care Ontario. Ontario Cervical Screening Guidelines Summary [Internet]. 2016 Oct [cited 2017 Aug 11]. National Institute for Health and Care Excellence. Cervical screening [Internet]. 2010 [cited 2017 Aug 11]. The Nurse Practitioner Association of Canada’s (NPAC) Executive Board approved the development of Choosing Wisely Canada’s NP recommendations. NPAC created a small working group to review existing Choosing Wisely Canada recommendations and develop potential ideas for an NP list. The working group created a list of suggested recommendations based on existing research, experience and common practice patterns. The Choosing Wisely Canada NP list was posted on the NPAC website discussion board for review and comments by NPAC members. The nine recommendations selected to be part of the Choosing Wisely Canada NP campaign were presented to the NPAC executive board for review and final approval prior to being submitted to Choosing Wisely Canada. Using Antibiotics Wisely – 2017 A campaign to help reduce unnecessary antibiotic use. 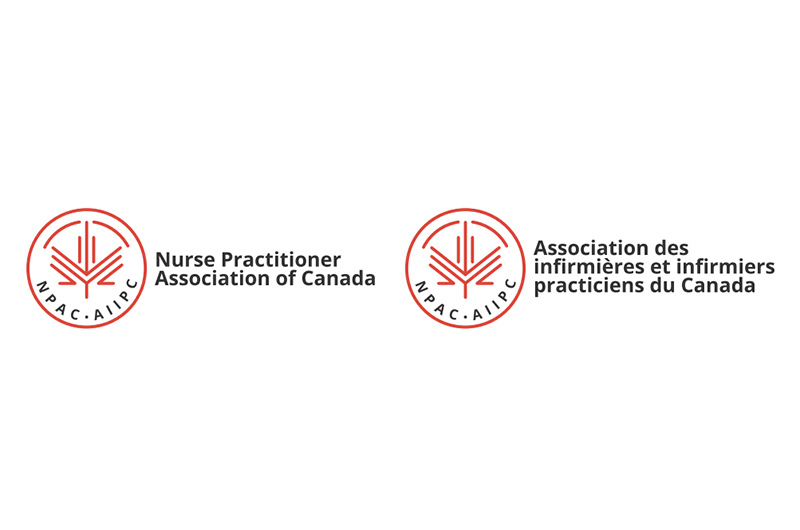 New Nurse Practitioners List Released Nurse Practitioner Association of Canada (NPAC) released their list of nine things Nurse Practitioners should question. When More Is Not Always Better: Choosing Nursing Interventions Wisely Article featured in Longwoods on how nurses are implementing Choosing Wisely into practice.